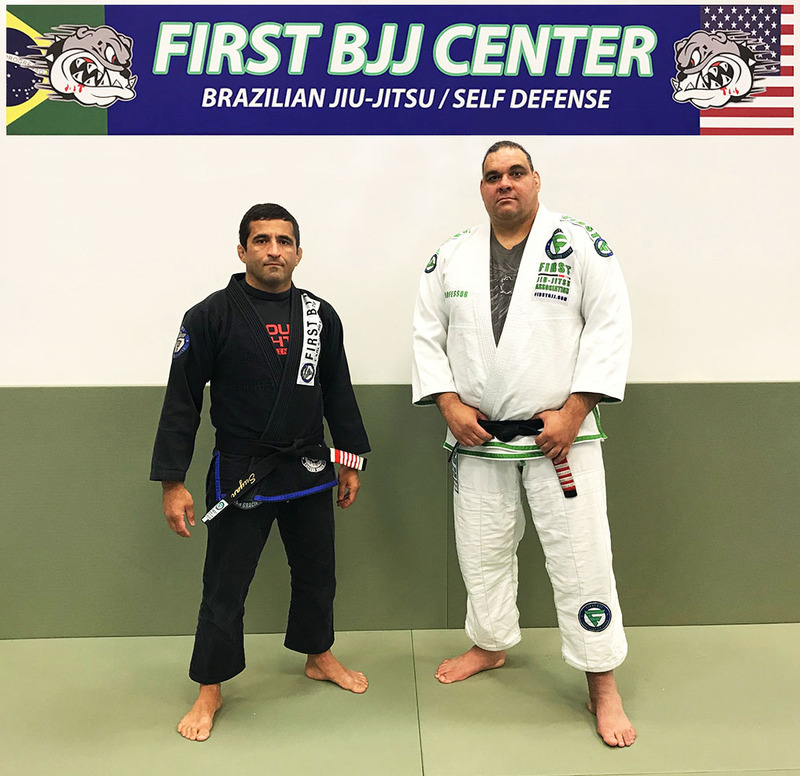 First BJJ is a Brazilian Jiu-Jitsu school fully operated by world class BJJ Black Belt Professors Suyan Queiroz and Carlos Santos from the legendary Carlson Gracie School in Copacabana, Rio de Janeiro, Brazil. From Rio de Janeiro, Brazil. Suyan Queiroz started his Jiu Jitsu career as a 10 year old in Tereresópolis – Rio de Janeiro and trained until blue belt. In 1993 he started training at Carlson Gracie School in Copacabana, Rio de Janeiro under the supervision of Marcelo Alonso. He received his purple and brown belt from Marcelo Alonso under the supervision of Carlson Gracie and received the black belt after winning the World Championship in 1998 from Grand Master Carlson Gracie in the legendary Carlson Gracie School in Copacabana, Rio de Janeiro, Brazil. In 2000 Suyan started training at Brazilian Top Team under the supervision of MMA and NHB Champions such as Mario Sperry, Murilo Bustamante, Bebeo Duarte and Ricardo Liborio. Suyan stayed in Brazilian Top Team until he moved to Abu Dhabi, in 2005. Currently, Suyan is Co-Owner at First BJJ Carlson Gracie Utah and travels the world teaching, training and spreading Brazilian Jiu-Jitsu. Carlson Gracie Academy: Carlos’ Jiu-Jitsu career started in 1993 at the Carlson Gracie Academy in Copacabana, Rio de Janeiro, under the supervision of Marcelo Alonso and Marcelo Saporito. He trained under Carlson Gracie until receiving his brown belt. Brazilian Top Team: Thereafter, Carlos became a head coach of Brazilian Top Team (BTT), where he managed the Gi division. Carlão also trained with Luiz Carlos Dias (“Manimal”), Mario Sperry, Murilo Bustamante, Bebeo Duarte and Ricardo Libório. Abu Dhabi, UAE: Carlos was the head coach of Emirates Jiu-Jitsu and introduced BJJ into the local army training, royal family and guard as well as succeeding in making BJJ a mandatory subject in their public schools. Created and organized more than 20 local and international tournaments. To mention the most successful in his career, the 1st World Professional Jiu-Jitsu Cup in Abu Dhabi that Carlos Santos launched and managed 2009 and 2010, with more than 10 international trials. 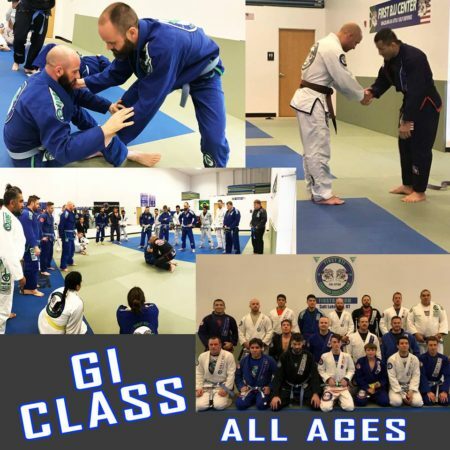 Colorado Springs, Colorado USA: In February 2012, Carlos Santos created and co-owned a BJJ center as well organized 3 editions of a successful BJJ tournament. 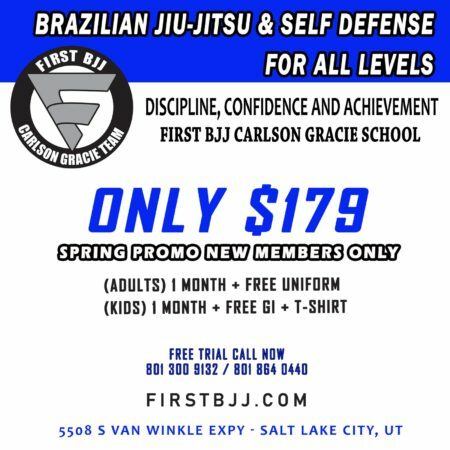 Salt Lake City, Utah: In June 2014 Carlos Santos decided to move with his family to Salt Lake City to launch FIRST BJJ CENTER and a new BJJ and Grappling tournament in the Valley. The First BJJ online training curriculum provides you with a full access video library at your fingertips, from your phone or computer. Learn new sweeps, submissions, tips, and tricks with our latest videos. 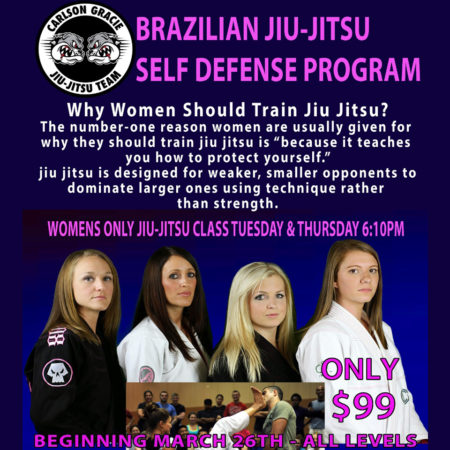 Brazilian Jiu-Jitsu self defense, 2019 is your year. All ages, shapes and sizes are welcome. Come join us! Copyright 2019 © First BJJ Center. Built by Basebuild, Inc.